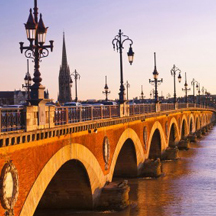 Join us in the Bordeaux region of Southern France for an inspiring 3-day experience of Integral Transformative Practice. We will explore the ITP guidelines for realizing one's potential as new ways for bringing wholehearted presence into each moment. Presented by ITP International President Pam Kramer and ITP Bordeaux Group Leaders Jacques Moreau and Isabelle Goldie, this training explores the capacity for listening with your whole being - body, mind, heart and soul. The cost for the 3-day workshop is $350 for the general public and $300 for ITPI members, including all materials. 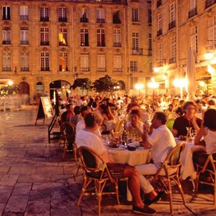 Bordeaux, hub of the famed wine-growing region, is a port city on the Garonne River in southwestern France. 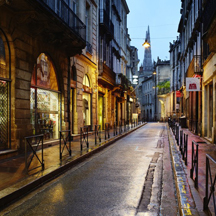 It's known for its Gothic Cathédrale Saint-André, 18th- to 19th-century mansions and notable art museums such as the Musée des Beaux-Arts de Bordeaux. Public gardens line the curving river quays. The grand Place de la Bourse, centered on the Three Graces fountain, overlooks the Miroir d'Eau reflecting pool. Integral Transformative Practice (ITP) is designed for realizing the full potential of your entire being - body, mind, heart and soul. Created in 1992 by Esalen Institute co-founder Michael Murphy and human potential pioneer George Leonard, ITP is a personal development program for all people motivated to lead a balanced, vital and healthy life. As you transform yourself, you transform the world. 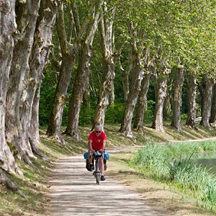 ITP France, a non profit association, was created to help steward the ITP in France. Workshop organizers include ITP Bordeaux group leaders Isabelle Goldie and Jacques Moreau who are available for questions about the workshop and ITP France. For questions, contact Robert Stewart. "Practice is a seedbed of miracles."